Look at all the awesome gingerbread cupcakes I found! 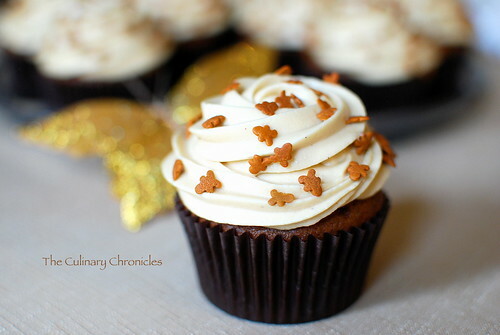 I'm so excited for these, and I'm glad it's finally December so I can bake these and not look crazy! I could make pumpkin treats and gingerbread all year long, but I get curious looks for it. Anyway, I will be baking some of my own when I find some time in my crazy schedule. 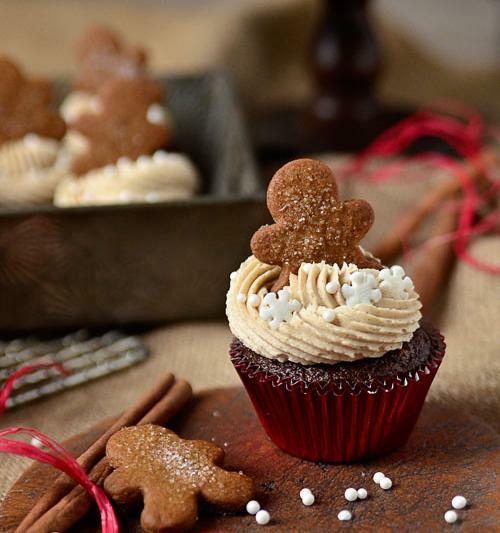 I really want to find some of those cute little gingerbread men sprinkles....aren't they cute? There are so many things I'm going to bake! I hope all of you are having a great weekend, we are putting up our Christmas tree today! Yay! What are you up to? Have you baked any yummy treats yet?